Tune in LIVE Saturday, October 6 at 7pm on Rocky Mountain PBS. 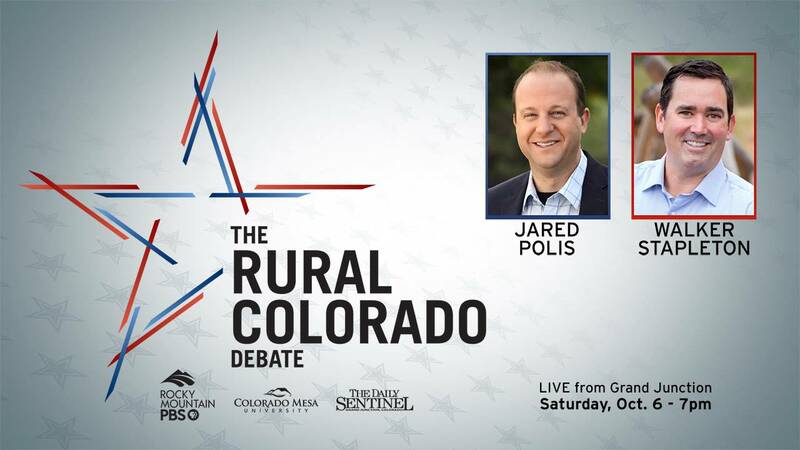 Colorado's rural communities face unique challenges, sometimes putting them at odds with urban areas in the state - a urban-rural divide that will be the focus of the Oct. 6 Rural Colorado Debate between gubernatorial candidates Walker Stapleton and Jared Polis. Get more details from our joint editorial on the debate, which we are proud to broadcast statewide and sponsor with partners Colorado Mesa University and The Grand Junction Daily Sentinel. What question would you ask the Colorado gubernatorial candidates about rural Colorado? Submit your question and it may be posed to the candidates during the live debate. For full 2018 Colorado election coverage visit rmpbs.org/insight.